As part of our Photography BA(Hons) annual exchange, second year students are showing their work in Canada. 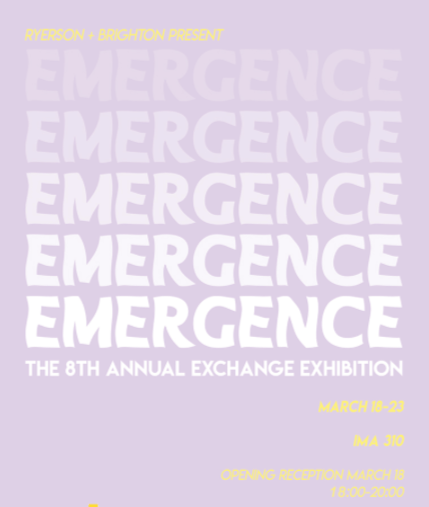 The show, titled Emergence, is the 8th annual exhibition, which runs from 18-23 March. University of Brighton students are exhibiting alongside second year students from the Ryerson School of Image Arts. Find out more about the project and previous exhibitions. This entry was posted in Photography and tagged ryerson exchange, toronto.